“Think my tyres have gone off” – said Keith Code’s protagonist in Twist of the Wrist II, and every other biker with lost riding confidence trying to pin the blame on something tangible that’s easy to replace. Confidence is easily dented, whether from a tumble down the road, an arse clenching close call, to a change of bike, setup or yes tyres. But hold on a minute, let’s not forget one very crucial thing that can have the biggest impact on our riding – our head. It’s all too easy to get fixated on your bike and gear, when the problem is really all in your head – “A bad workman will always blame his tools.” One’s headspace is far from tangible, rarely obvious how to change, and there in lies the problem. Without a clear remedy, we look for quick tangible fixes elsewhere which we do know how remedy. So what can we do to address riding confidence issues in our head? Sometimes it can just take more riding, maybe some longer rides to slowly rebuild confidence, relax more and banish those mental blocks. Alternatively you can seek advice from others, for example an observed ride with the BikeSafe Police officers or your local IAM / RoSPA group. You could also try some time on track, to practice handling your bike in a controlled environment where you don’t need to worry many normal road hazards. 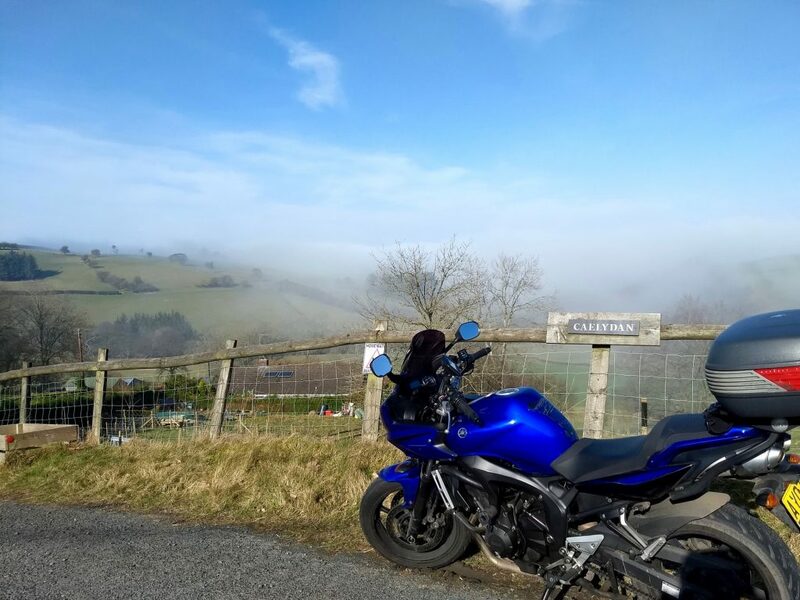 For me, numerous ride outs and longer jaunts to Wales have helped regain confidence with my new FZ6. I’ve also been experimenting with slightly lower tyre pressures too, always tweak the simple and easy things first.